Strangers aren’t the only ones excited to see Krizz Kaliko’s Kickin’ & Screamin‘ finally arrive. Just as the album officially released everywhere, some of Krizz Kaliko’s most notable supporters hit the web to show love for the brand new album. Platinum production duo Tha Bizness was first to jump on the web and encourage fans to grab a copy of the album they previously praised during a visit to Strange Music. 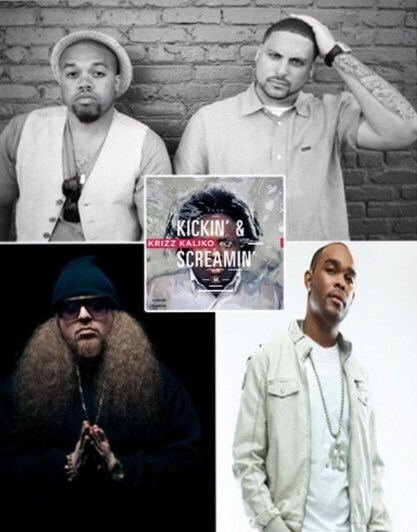 Having produced both “Stay Alive” and “Dumb For You” featuring T-Pain, Nappy Boy’s YoungFyre also stepped forward to show plenty of love for Kickin’ & Screamin‘. Rounding it out, Rittz asked fans on the web to grab Kickin’ & Screamin’ which features a guest spot from the Slumerican emcee on “Mayday”. With the album already making a big splash on the iTunes charts, who else will support Krizz Kaliko’s Kickin’ & Screamin’?